Note: There really is a giveaway! Scroll down if you want to skip to that! I remember going with my mom to her aerobics class. She'd be in her neon spandex leotards and tights, with matching legwarmers, in a roomful of women in similar outfits, and I would try to stay on the periphery of the room to avoid getting hit as they grapevined and V-stepped to really chirpy music. When I was a teenager, I asked my mom if she wanted to go jog with me, and I was panting and dying and ready to keel over while my mom could have run circles around me. Instead, she agreed that it would probably be a good idea to head back home. 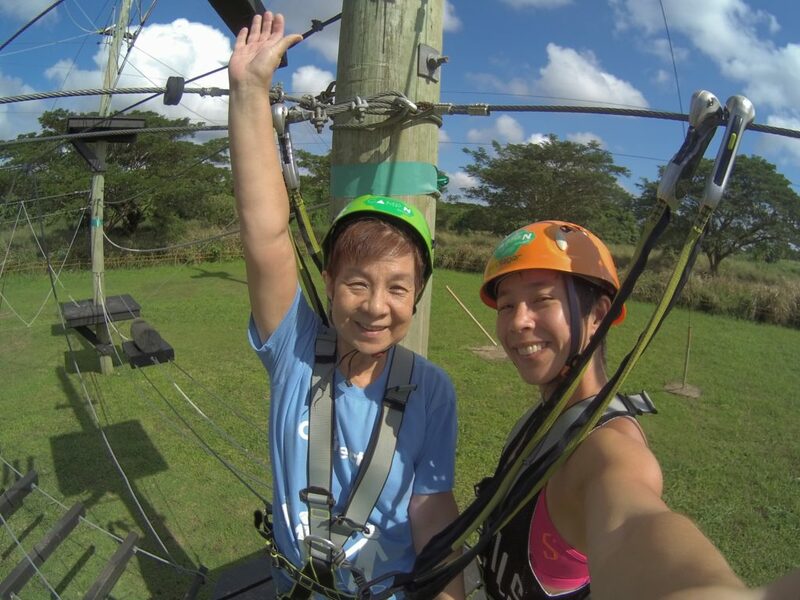 Over the years, my mom has outclassed me in almost everything--volleyball, dancing, marathon window shopping. The only things I can do that she can't are swim and bike. Several years back, my mom gave us a horrible fright when she had a series of heart attacks. But she's made her way back from that. These days I still find it hard to keep up with her and her Senior Citizen social schedule. 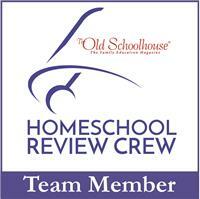 On Mondays, she has breakfast and ballroom dancing with her seniors group. Tuesday she has Spanish classes. Saturdays, she goes to leadership classes at our church. In between those days, she's out and about, visiting friends, or helping me out with the kids. My kids were pretty impressed when Mama B zipped lined in Camp N, and completed the aerial walk. 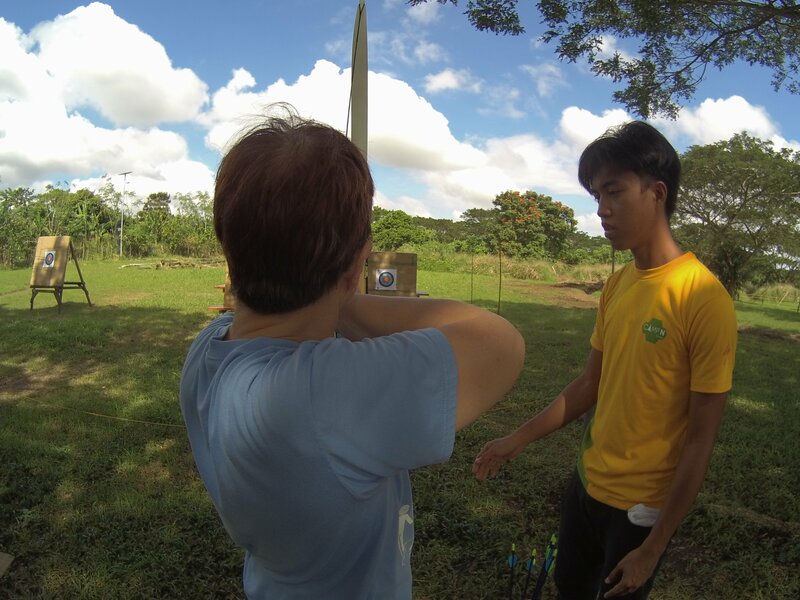 She also did archery and tried to learn how to bike. She made it up to the third level! This year, my sister is doing the ultimate Mother's Day tribute with FitCon MNL 2017 (well not really, but the dates fall near Mother's Day). 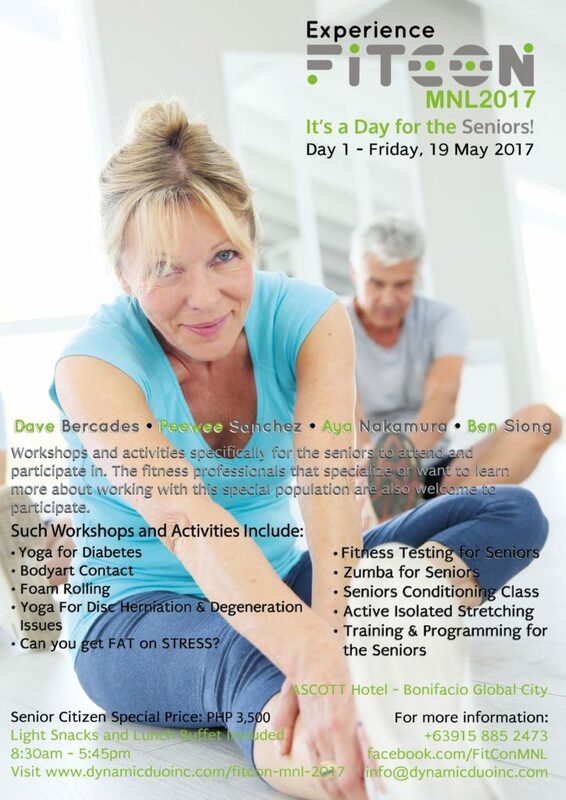 FitCon MNL has a Seniors Day--one full day with workshops and classes that are perfect for older bodies. And of course, the classes our mom enjoys: Zumba Party Night and Mind Your Body Evening (which has bodyART and Hatha Flow Yoga). Then there are all sorts of new classes to try at the Activity Zone. My mom actually tried out bodyART when Rica and her BFF Divine at the FitCon MNL press con. 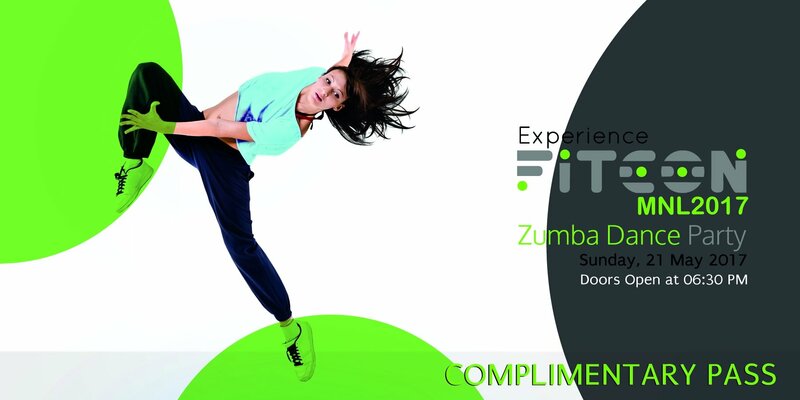 It's a funky combination of dance, yoga, Pilates, and therapy moves, set to really cool music. She did well, I think. And she had fun. So in tribute to our mom (and yours! ), my sister and I are giving away a pair of tickets worth Php2,000 to either Mind Your Body Evening (May 20, 2017, 6:30PM-9:00PM), or Zumba Party Night (May 21, 2017, 6:30PM-9:00PM)! 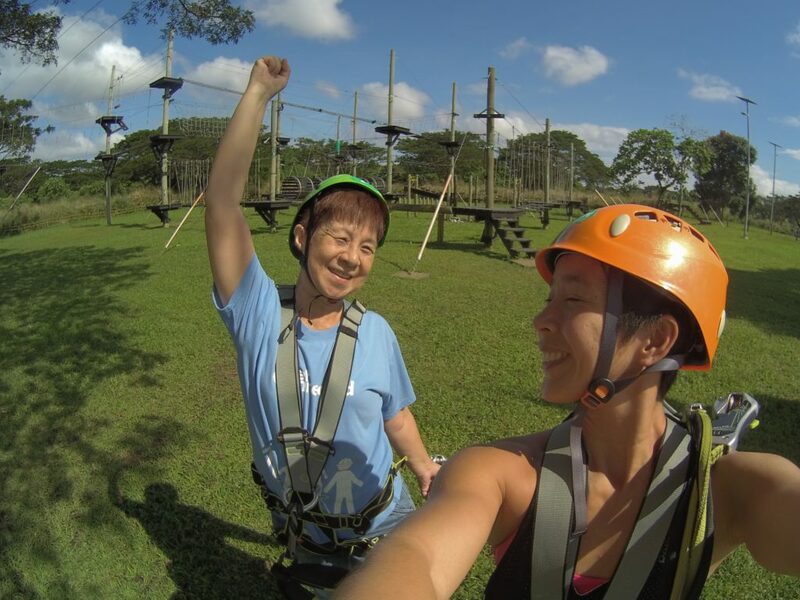 All you have to do is leave a comment below--tell us the most awesome thing you did with your mom! And let us know which event you'd like to attend. Winner will be announced on May 16, 2017 (make sure you can attend your chosen event!). ...Or this Mind Your Body Evening pass! 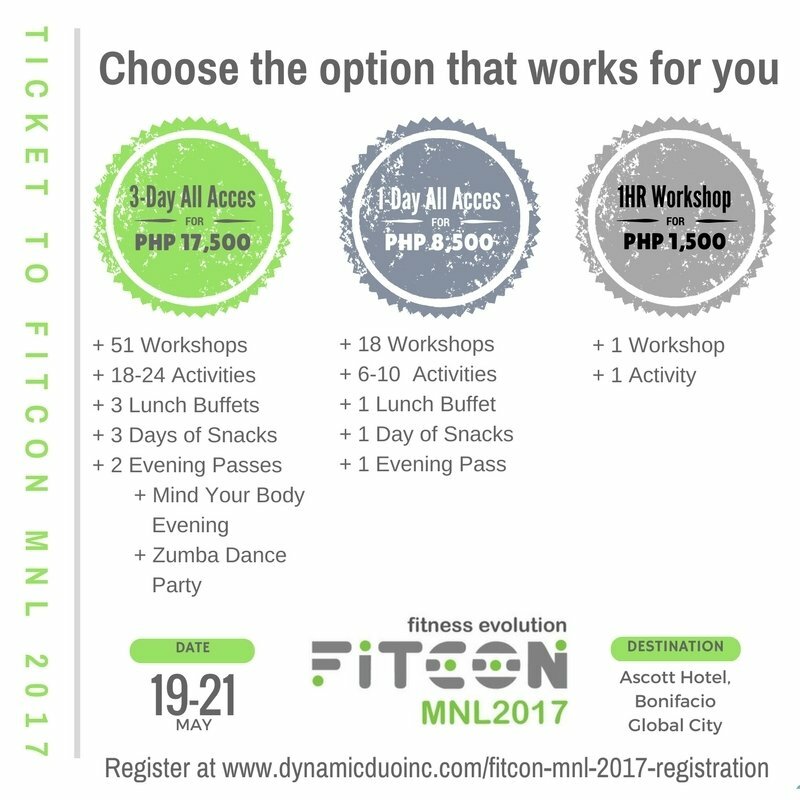 If you want to know more about FitCon MNL, visit the website, or the Facebook page. Hehehe. 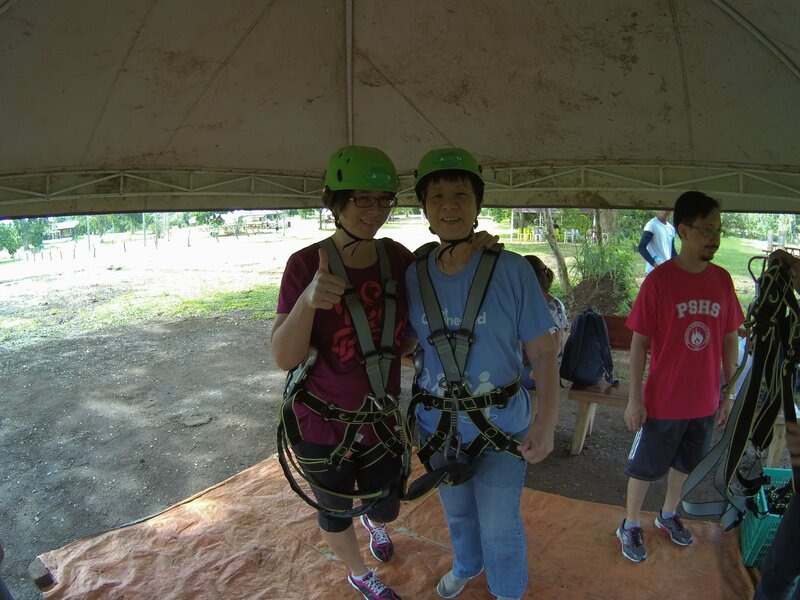 My mom’s not exactly the outdoorsy type, but she’s game to try most anything — from doing the zip line (round trip) across a river in Nueva Ecija by herself, because her friends weren’t willing to do it, to hiking up a mountain for a mission trip to the Mangyans (but this was years ago…). Unfortunately, I wasn’t there for the two examples I had given. So, my example would probably be tamer compared to those, but still awesome for me.